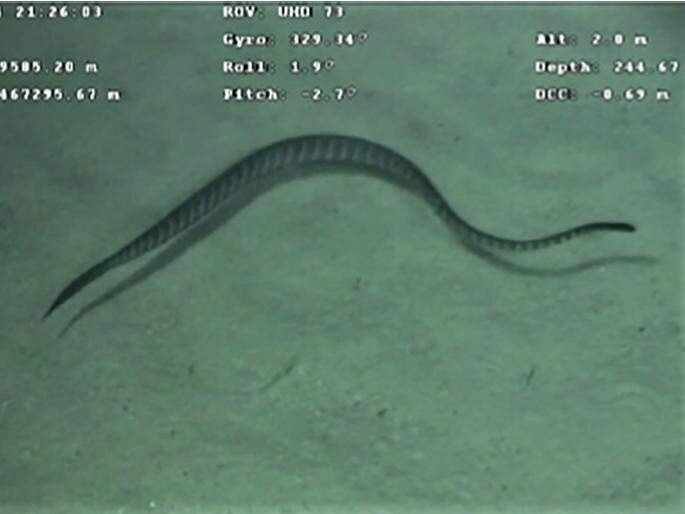 "Sea snakes were thought to only dive between a maximum of 50 to 100 metres because they need to regularly swim to the sea surface to breathe air, so we were very surprised to find them so deep," says Dr Jenna Crowe-Riddell, lead author of the study and recent PhD graduate at the University of Adelaide's School of Biological Sciences. Oceanic depths between 200 and 1000 metres encompass the mesopelagic zone, sometimes called the 'twilight zone' because only a small amount of light reaches that depth. "We have known for a long time that sea snakes can cope with diving sickness known as 'the bends' using gas exchange through their skin," says Dr Crowe-Riddell. "But I never suspected that this ability allows sea snakes to dive to deep-sea habitats."